It isn't everyday you see a girl fluttering like a butterfly. Have you seen one? I did and I want to tell you the story of this beautiful girl, who can close her eyes and say those magical words and "Abra Cadabra" She turns into a Butterfly and fly. She can even choose the color she wants for her wings. One day it was pink with white dots, another day yellow, another day purple or red. How did she learn this magic of growing those pretty wings? It was holiday for Devu and she was playing with her friends in a park nearby and it started to rain. There was this huge peepul tree, it branches swayed "up and down". Devu and her friends stood below the tree and waited for the rain to stop. The wind was powerful. At that time, Devu saw a tiny cuckoo that had fallen down from the nest. She called her friends and said, "Come on! Let us save the bird, before a Cat or Snake catches the baby bird". Hearing the name Snake all her friends feared and left. Devu picked the little bird held her in her palm, the little Cuckoo wet and cold, tried to burrow in her little hands. Devu looked up at the tree and searched for Mama and Pappa cuckoo. She remembered her mom saying that Cuckoo birds lay their eggs in crow's nest. 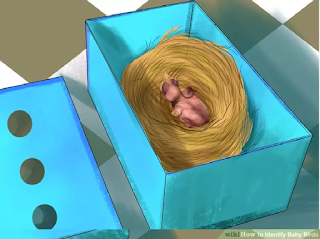 She took baby Cuckoo home and carefully placed the baby bird in her shoe box and filled the box with rags. The baby Cuckoo felt warm. Devu rushed to the fridge, took the juice out and gave the bird to drink. Baby Cuckoo didn't have a clue how to drink. Some how she managed to feed the bird with a medicine dropper. She felt proud and showed the bird to everyone at home. First they were upset. But Devu promised she will take care of the bird and they allowed her to have the bird as her pet. She called her Cuckoo Maya. 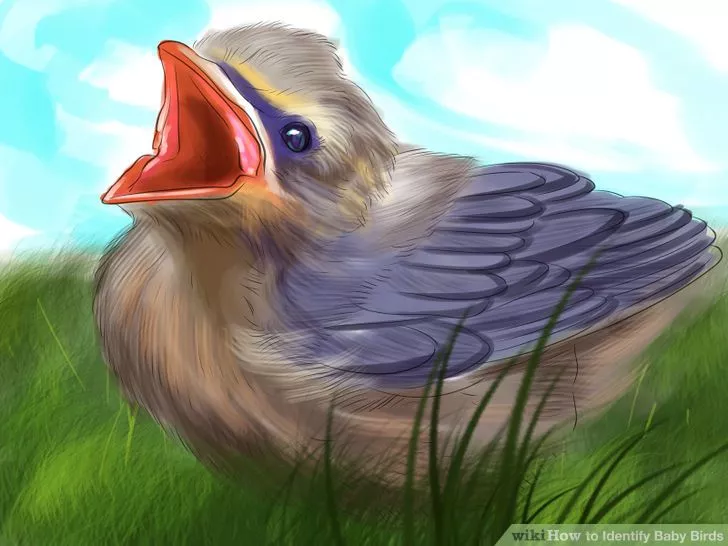 Days flew, the baby bird started to grow. The plain black Maya started to get colorful.. The shades of bluish green, some yellowish gold, a royal blue. These days Devu's house flooded with visitors to see Maya the magic bird. It was a Saturday afternoon, when Devu called out to Maya to go out to play. Maya alighted herself on Devu's shoulder and they went to the park. Suddenly the sky darkened and it started to rain. When Devu started to run home, someone called out her name. 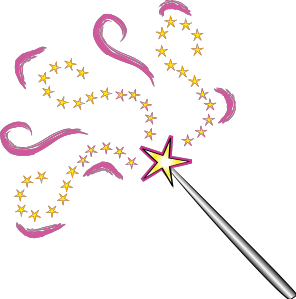 Devu turned to look and she found a fairy with silver wings and a diamond wand. 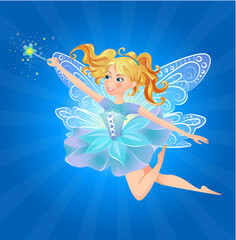 The fairy flew next to Devu and said, "Devu you are a kind hearted girl. I saw you pick the baby Cuckoo and took care of the baby bird." Devu stood before the fairy pinching herself to check if she is dreaming. "Ouch!, it hurts and definitely not a dream." Fairy said, "Devu, to appreciate your kindness I am giving you a boon. 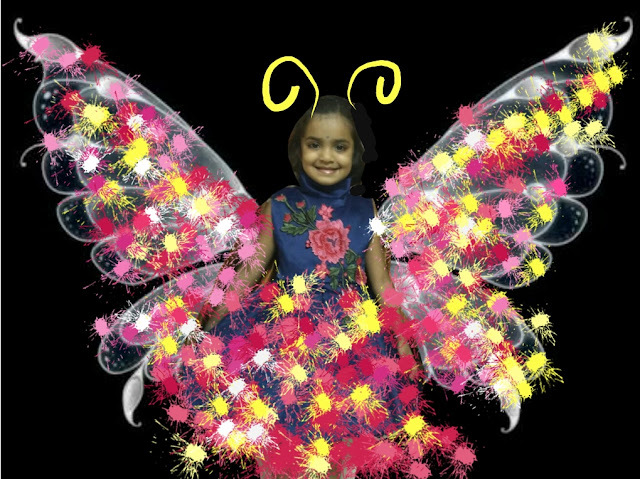 I will tell you a magic word and whenever you utter them within yourself 3 times and think of your favourite colour you will turn into a butterfly with wings in the colour you wanted. When you want to change back to your original form. You should repeat the magic word twice and you will be back as Devu. You want to become a butterfly whenever you want?" Devu being Devu had some questions. 1. Will I shrink or will I be like you with wings? 2. If I forget the magic word will I remain a butterfly? 3. Can I tell this magic word to my dad and mom and my best friend? 1. You can be your size or shrink, whatever size you want you can become that. 2. Yes, you should not forget the magic word. If you forget come to the same place on Saturdays like today, the same time and call Tara, I will come and make you the little girl again. I will be visible only to yourself. 3. You should not tell the magic word to anyone, but if you want to take anyone ask them to think of a colour and close their eyes and you use the magic words both of you can turn in to butterfly. This will work only for three people at a time including you. But there is one important condition, if you a tell a lie on the day you want to turn into a butterfly, it won't work. Your partner also should not have lied that day. You are allowed to say 100 lies. When you cross 100 lies the magic will not work. Ever! Devu eager to try, nodded fast. Maya moved from Devu's shoulder to fairy's shoulder. Devu looked at fairy and the fairy said, "Maya should join her parents too... Don't you think so?" Devu felt sad but her mood lifted at the prospect of flying and asked Maya, "Can we fly together once?" Maya nodded her head. Devu looked at the fairy and fairy bent her head to whisper in her ear, the magic words are "I speak only truth". Happy Devu, stood still closed her eyes and said to herself, "I speak only truth" and thought of Blue and Pink and Yellow. Devu who did not tell any lie that day turned into a pretty butterfly. She and Maya started to fly. Fairy laughed when Devu missed to watch her head and kept clashing on the trees and leaves. But, slowly like she flew as if she was born to fly. After half an hour, feeling tired, she sat on the ground and said the magic word twice and became Devu again. She thanked fairy, hugged and Kissed Maya. Feeling sad in losing Maya and happy for the boon, Devu went home. She was thinking, "Should I tell mom or not? Is that a lie if I keep this secret to myself today? “. From then on Devu before saying anything, thought about it carefully and then spoke. Do I need to tell you that the little girl who can flutter like a butterfly never lied again? On a far away land called Kompu, there was a big jungle Jaku. In Jaku, the animals lived together happily. Jaku is a beautiful forest, with tall trees full of ripe fruits. A small stream called Trickle flowed through Jaku. The animals ate fruit, drank water, roamed around, played and laughed all the time. The lion, Len was the King of the forest and his wife Liz the Queen. They had two little cubs Leo and Leon and they are twins. 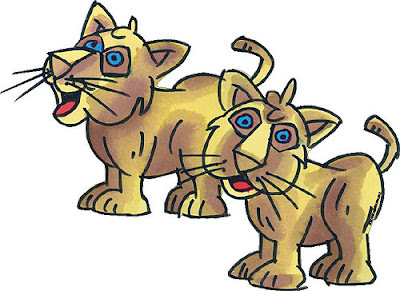 One day Appu, Kuppu, Leo and Leon jumped and walked through the trees and came near a pond. There they saw two little rabbits snowy white with red red eyes. They were eating red berries as red as their eyes. 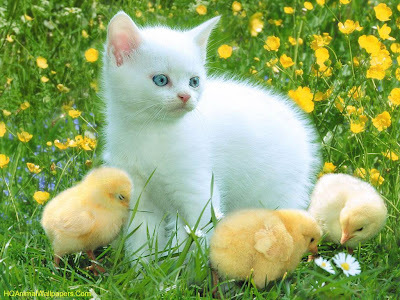 Leo, Leon, Appu and Kuppu wanted to be friends with the two little rabbits. They called out,"Hi little rabbits... can we be friends?" Rabbits shouted "Yes"... "My name is Chimpi and his name is Chilluki".. "Would you like to eat Berries? I have two and we can share and eat." 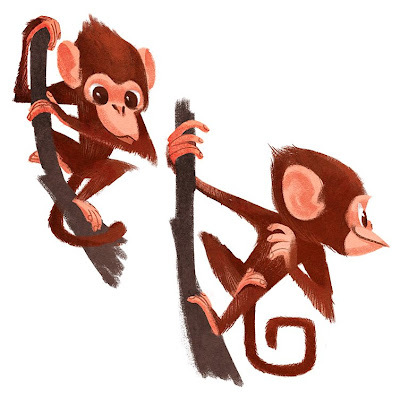 Appu and Kuppu climbed the tree and plucked 20 berries and Chimpi and Chilluki were so happy. 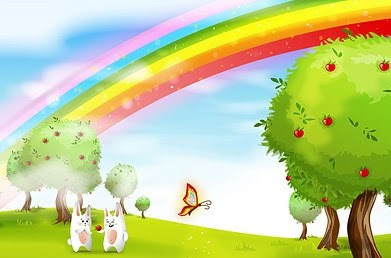 Leo, Leon, Appu, Kuppu, Chimpi, Chilluki sat below the berry tree, watched the rainbow and ate the berries. "Ahem!" he called out. The mice looked at him but they did not stop jumping. "Hey! aren't you afraid of me?" They said, "NO"... "We saw you smile." "Want to be friends?" said Appu. "Why not?" 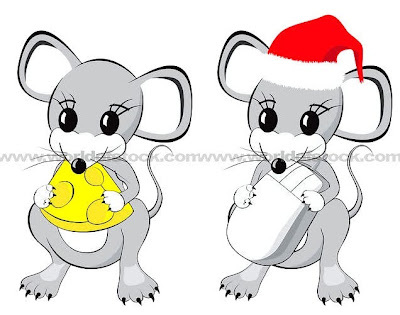 said the two little mice, "I am Jerry" and "I am Merry". Appu woke Kuppu, Leo, Leon, Chimpi and Chilluki and introduced them to Jerry and Merry. Hey Kids! 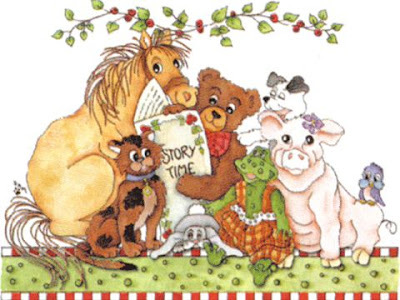 did you notice... there are 8 little animals in our story now and all are twins.. They went to the Trickle (the small stream) drank water and planned for a picnic. They shared their dreams. Leo and Leon wanted to go far beyond the mountain called Mt. MAGIC. Their mom Liz told them stories about the Mt. Magic. Where the trees were full of chocolates and the waterfall swith fresh cream. Everyone listened to this and wanted to go to Mt. Magic. "But how? " said Kuppu. It will take at least 10 days to climb the huge mountain and we do not know the way". "Yes" agreed Chilluki, "My mom will search for me". All of a sudden there was a huge noise and poor animals they were scared. They hid near a huge tree and watched what was happening. Two giant elephants came to Trickle and trumpeted and sprayed each other with water. They were having fun. Our eight little friends saw this and slowly came out of their hiding place. They went near the water and called out... "Hi Elephant brothers, can we be friends?" The Elephants stopped playing and looked at our 8 little ones and said "Why not? We would love to be your friends.."
"I am Jumbo and he is Mumbo" said Jumbo. They all shook hands and started to play. They played in the water, rode on Jumbo and Mumbo's back and as the Sun went down, halfheartedly set to go home. As they started to walk and jump and slide all the way, they told Jumbo and Mumbo about their dream picnic. Jumbo and Mumbo promised to carry them on their back. They can leave early in the morning and come home by night. Thrilled about their picnic, they decided to go to Mt. 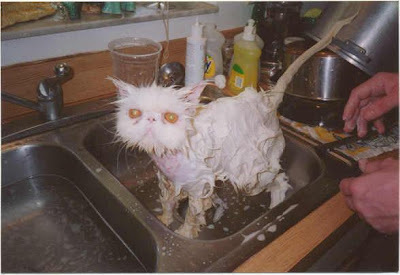 Magic the next day. Till then... See you guys! honking and spurting like a Harvey inside me. taught life and taught love to me..
not a worry about working or washing..
full of fun and friends gallore..
Do you think, he will come ashore? Through the gales and the storm alight. I love kids. Who doesn't? I have a knack with kids, though for the first few minutes they would look down their noses at me, they will settle down. When Ani was young, I used to coin stories for him. My dad was my teacher. All my cousins, friends adore my dad, for he is a good story teller. From Crime stories, adventures, funny ones he had kept us glued many a days. His masterpiece is "Kaatilae Deepavalli", on how Animals celebrated Diwali in their jungle. The way they robbed the Shops for new dresses, how the elephant threatened the tailor to make him new trousers and Shirts. It used to keep us laughing, my mom used these moments to feed us, stuff us with food :( We love listening to him for hours. He is also a very good artist and he gave shape to his characters and how we used to enjoy. Those days were sheer heaven. Even today I go sit with him, when he spins his stories to younger ones on how the wooden horse fly carrying the Prince and the princess. I copied the same tactics, and told Ani stories not just at bed times, whenever we are free. When Ani turned one, I took a break from work and 7 years I was at home enjoying every spare moment with Ani. We used to draw, colour, make figurines out of clay, sing, dance. We used to maintain a scrap book for him, a little different from others. I used to help him with sketches and he will colour. I will tell him a story and he used to write them in his words. I also used to coin puzzles, jigsaws, riddles and keep them ready. When he is back from School, everyday 2 hours will go on his scrap book. There were several stories, I made up for him. The dragon that breathed butterflies and Animal adventures, where all the animals were twins with rhyming names. These animals takes a trip around the world, various destinations, every destination a new couple (Twins) gets added to the list. I drew them for him. Planning to scan those sketches and reproduce them here. Ani still love these stories and he is behind this idea of publishing in my blog. This had been there in my mind, for quite some time. Thought will give it shape. Will have to wait and see how it goes. I know this is going to be for a very limited audience. I am writing this for my Son and my son's son. 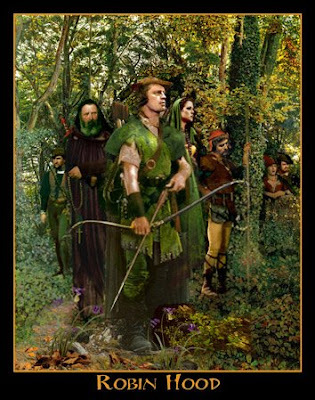 The art of telling stories, is sadly neglected. We don't have time to tell them stories and they opt to watch TV.